The 30-06 is a fantastic hunting round. Capable of traveling over three miles, the 30-06 goes further than almost any other round and has been used as a sniper round for years. 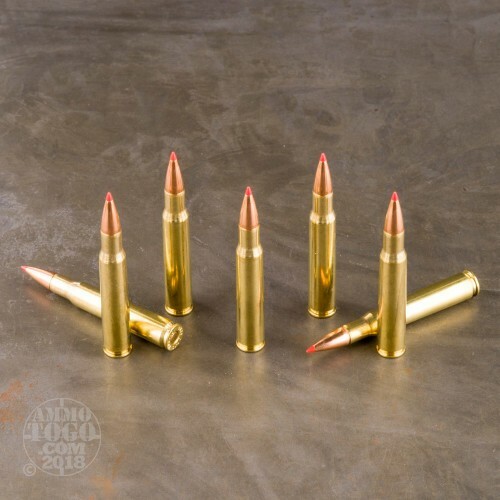 The distance capability, coupled with the mass of the 30 caliber, makes this round a more powerful one than most, perfect for hunting or self protection. 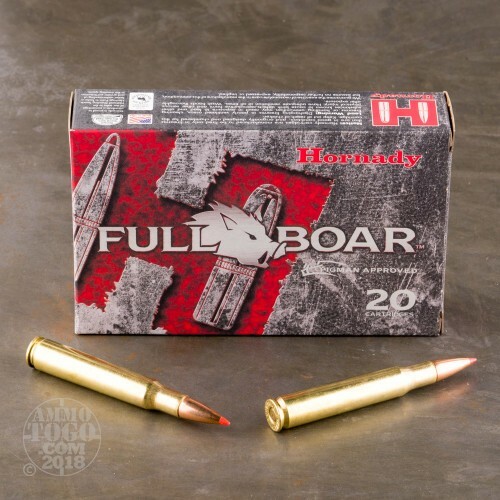 These particular rounds are specifically designed for boar hunting. Hornady's GMX rounds are designed to have 95% weight retention and feature monolithic, copper bullets. 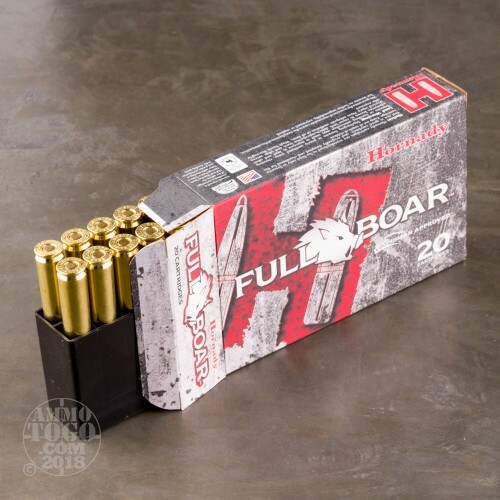 With a muzzle velocity of 2800 feet per second, these 165 grain rounds will take down any boar of your choosing. Pick up a 20 round box today! Splended job AmmoToGo . . . As Usual! You actually know what you are doing. That's why I purchase my ammunition from you alone. I have bought from AmmoToGo for a few years now and have never had an "issue" with their ammo or service. As I'm in the process of converting my inventory to Solid Copper bullets, the way God intended them to be, I had been waiting for the .30-06 to complete the change-over. 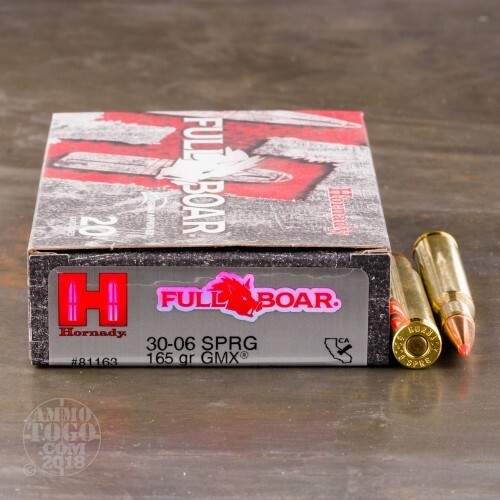 On the box Hornady states that these cartridges are designed for Auto-Loading rifles. Hopefully my Remington 750 will agree, lol! May your next hunt be the best ever . . . And let the people at AmmoToGo help you do it! FIVE STARS!